Ashland is a town in Grafton County, New Hampshire, United States. The population was 2,076 at the 2010 census. Located near the geographical center of the state, Ashland is home to Scribner-Fellows State Forest. The main village of the town, where 1,244 people resided at the 2010 census, is defined as the Ashland census-designated place (CDP), and is located at the junction of U.S. Route 3 and New Hampshire Route 25 with NH Route 132. Ashland was once the southwestern corner of Holderness, chartered in 1751 by Colonial Governor Benning Wentworth. But hostilities during the French and Indian War delayed settlement, and in 1761, it was regranted as New Holderness (although "New" would be dropped in 1816). 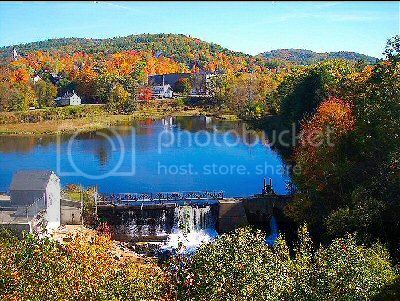 Settled in 1763, the town was predominantly agricultural except for Holderness Village on the Squam River, with falls that drop about 112 feet before meeting the Pemigewasset River. The falls provided water power for mills, and in 1770-1771, a sawmill and gristmill were built. The Squam Lake Woolen Mill was established in 1840. Goods manufactured at local factories included hosiery, gloves, sporting equipment, wood products and paper. The Boston, Concord & Montreal Railroad entered in 1849, carrying freight but also tourists bound for hotels on the Squam Lakes, to which they traveled by steamer up the Squam River. The interests of the industrialized settlement increasingly diverged from those of the farming community, however, and in 1868 Holderness Village was set off as Ashland, named for Ashland, the Kentucky estate of Henry Clay. The last textile mill, the L.W. Packard Company, would close in 2002, and Ashland is today a residential and resort community.